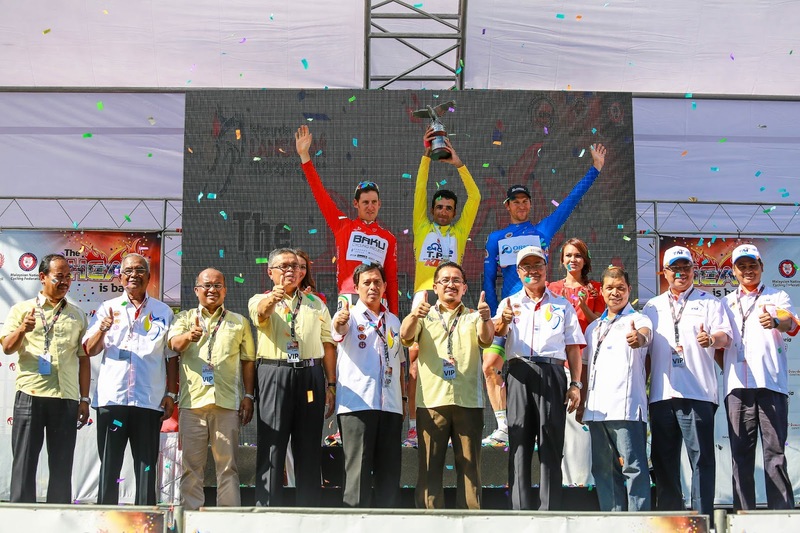 KUALA TERENGGANU, Saturday 8th March 2014 - Tabriz Petrochemical Team's Mirsamad Pourseyedigolakhourwas today confirmed as Asia's first ever overall winner of Le Tour de Langkawi (LTdL) after the finals stage won by Astana's Andrea Guardini to bring his record of stage wins in the race to 14. 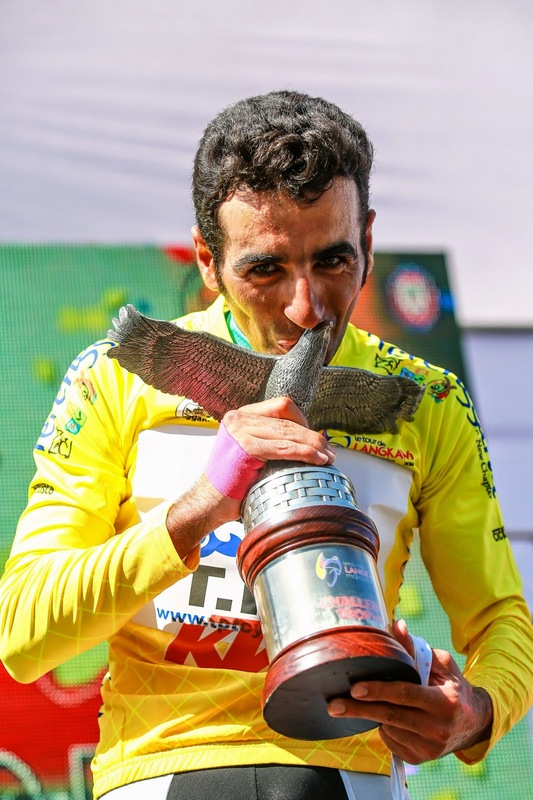 Pourseyedigolakhour celebrated the victory after some hard work by his team to keep his slim 8 seconds lead over second placed Merhawi Kudus of MTN-Qhubeka in the six stages that followed the queen stage of the race in Genting Highlands on the fourth stage. "I am especially proud to be the first Asian rider to win the overall title in this race. After 19 years it has happened, so this is a big victory for me and for Asian cycling," said Pourseyedigolakhour, who also became the first Asian to win the Genting Highlands stage in LTdL. "After the fourth stage in Genting, my team had to work really hard to protect the lead, especially in some very long stages that followed. So, I have to thank them." Lithuania's Aidis Kroupis of the Orica-GreenEDGE team bagged the points classification win after finishing second to Guardini in the bunch sprint at Dataran Shahbandar in Kuala Terengganu to end the race. Guardini registered his second victory of this year's race, which was also his Astana team's second of the season, to add to his victory in Stage Three from Kampar to Kuala Lumpur and extended his record on a day when four stage winner Theo Bos of Belkin Pro Cycling only strolled home in 58th position, not contesting the bunch sprint. "This year I would have liked to get more wins, but most of the stages didn't suit my sprints. For me, I prefer to have a long straight to start my sprint at 200 or 250 metres, but this year a lot of stages had a turn at 100 or 50 metres before the finish," said Guardini. "So those kind of stages suited Bos, who also had a strong team to put him in good positions. Today, when I had a chance in a sprint that suited me, I am happy to have delivered the win. Irish champion Matt Brammeier of the Synergy-Baku team had already confirmed his mountains classification win after Stage 9 yesterday and was satisfied with the overall performance of the team from Azerbaijan, who made an impact with their continues attacks and with Brammeier's jersey victory. Another team which made a big impact was South Africa's MTN-Qhubeka, who not only finished as overall team champions ahead of Tabriz Petrochemical, but also introduced the surprise package of the race in 20-year old Eritrean rider Merhawi Kudus,who finished second overall just eight seconds behind Pourseyedigolakhour. Organised by the Ministry of Youth and Sports, via the National Sports Council (NSC) inassociation with the Malaysian National Cycling Federation (MNCF). 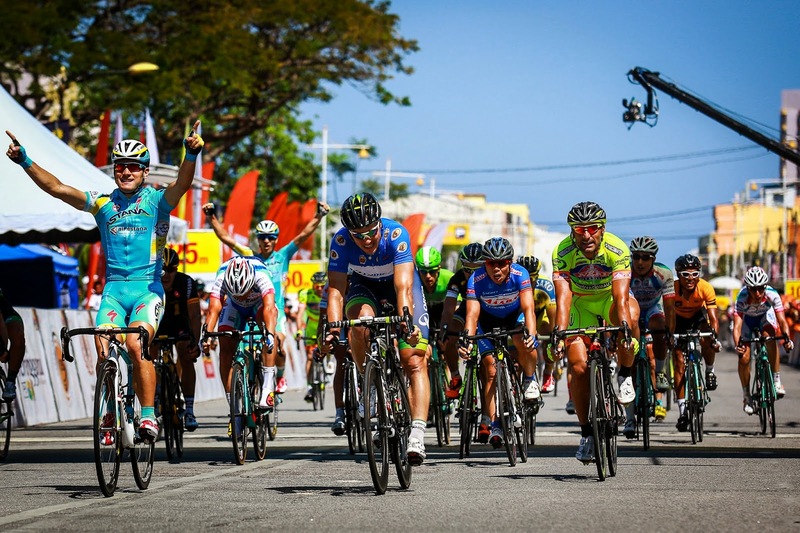 The 19th edition of Le Tour de Langkawi (LTdL) from February 27 to March 8, 2014 covers a total distance of 1,495.9km over 10 stages, the UCI 2.HC (hors category) race featuring again as one of the biggest events on the UCI Asia Tour calendar.